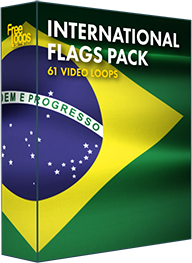 A seamless video loop of the national flag of Ecuador. A great visual of the Ecuadorian flag, a great icon of national pride. Take your performance to the next level with this video loop, a video background ready for any kind of use.